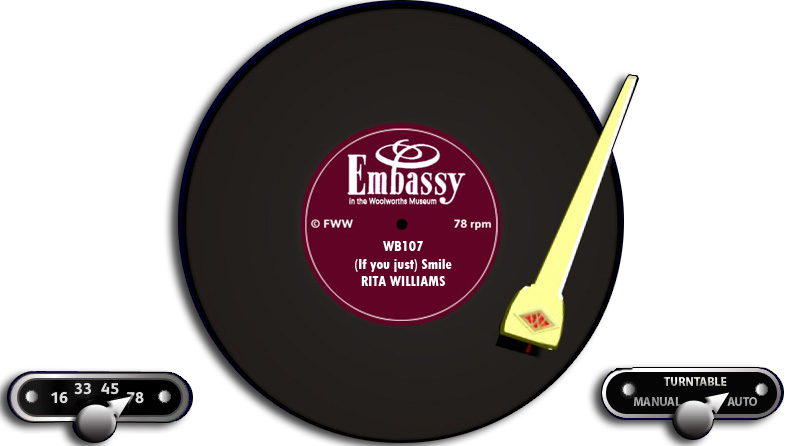 Today Embassy Records are highly collectable as icons of a bygone age. But back in the 1950s and 1960s opinion was strongly divided. Some peope loved them and some people absolutely hated them. The decision to record really good cover versions of the same songs being released on the hit parade, and get them on the shelves at the same time as the originals, but at a much lower price, was a controversial one. Occasionally the Woolworth song outsold - and was considered better - than the real thing. And a few Woolworth artistes switched sides and became stars in their own right. You can read the whole story, and listen to some of the songs, right here in the Woolworths Museum.